Time does fly by; I was wondering this morning what year Ellen first went to college because that’s when she got her first weekly letter 13 or 14 years ago. If I was into pain, I could always look at the tuition receipts to verify the year. Ellen/Reid: The leaves around here have determined their growing season has been long enough; and en masse they’ve decided to fall of their own volition regardless of color. As I look out the back window, most are still some shade of green, meaning they have some ways to go before they would really have to give up the ghost. But they’re falling anyway. As least I don’t have to rake them up. It brings back memories of burning sycamore and oak leaves in a huge, smoldering pile in the driveway on Polk Blvd., Ellen, when you were just a peanut and it was still allowable to clog the air with smoke. 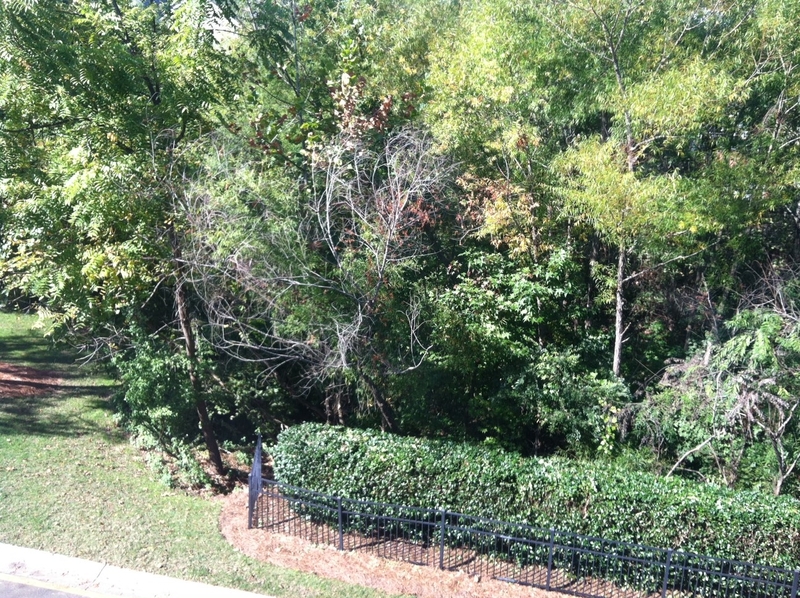 My green belt is beginning to shed the green veil of leaves that block from view all that is behind it. The leaves don’t care about pronouncements about a change of season; they’re dropping anyway. 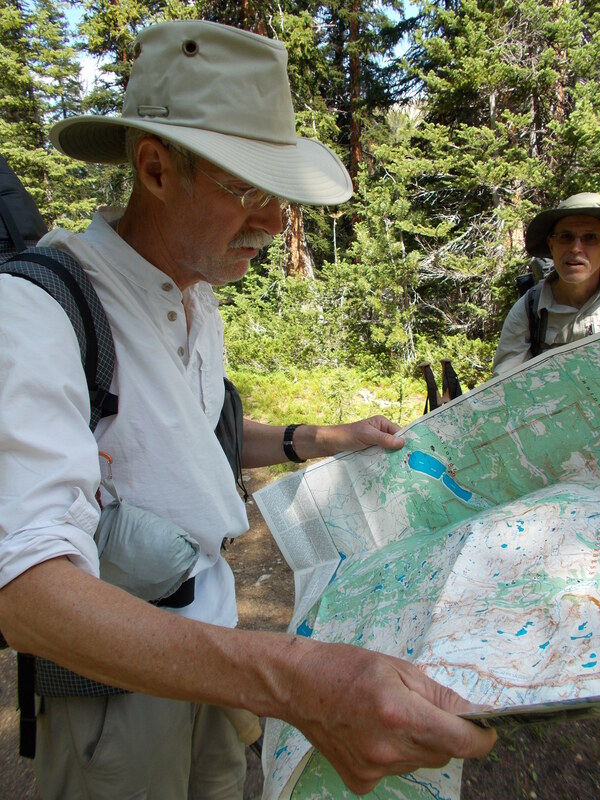 Get off your duff and lace up your hiking shoes – Wyoming! 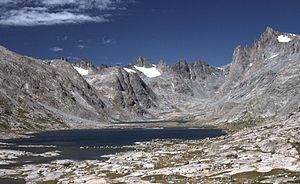 Attention all outdoorsy types or outdoorsy wannabes: Hey, if you’re looking for a strenuous, test-yourself sort of outdoor semi-survivalist trek this summer, book the week of July 15 in the Bridger Wilderness in Wyoming. Six nights of sleeping on the hard ground (but inside a tent away from the mosquitoes), nearly 37 miles of potential blister-inducing huffing-and-puffing trails – all offset by incredible views of the Cirque of the Towers and fly fishing for fresh brookies. They say this is God’s country, and The Almighty hasn’t denied it. We assemble in Jackson, WY Friday, July 12 (or Saturday, if you prefer just-on-time arrival) and head into the country around noon on Sunday, July 14. 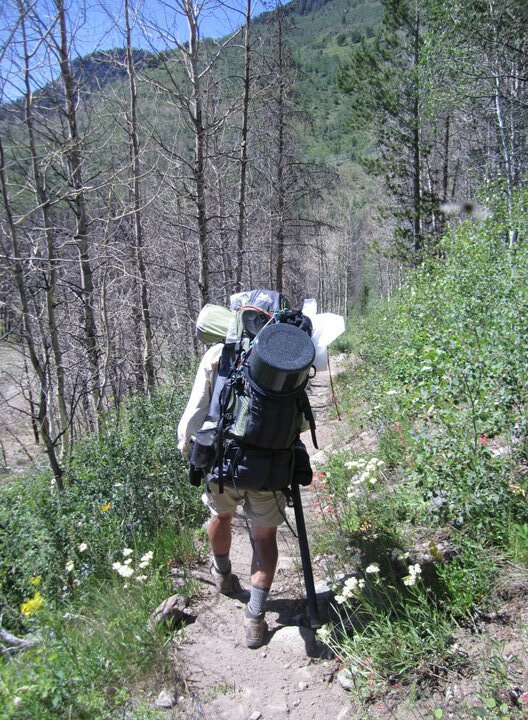 Me doing my pack mule imitation in the Bridger Wilderness a few years back. Tom has helped me lighten the load considerably. Seven or so objects of our affection. 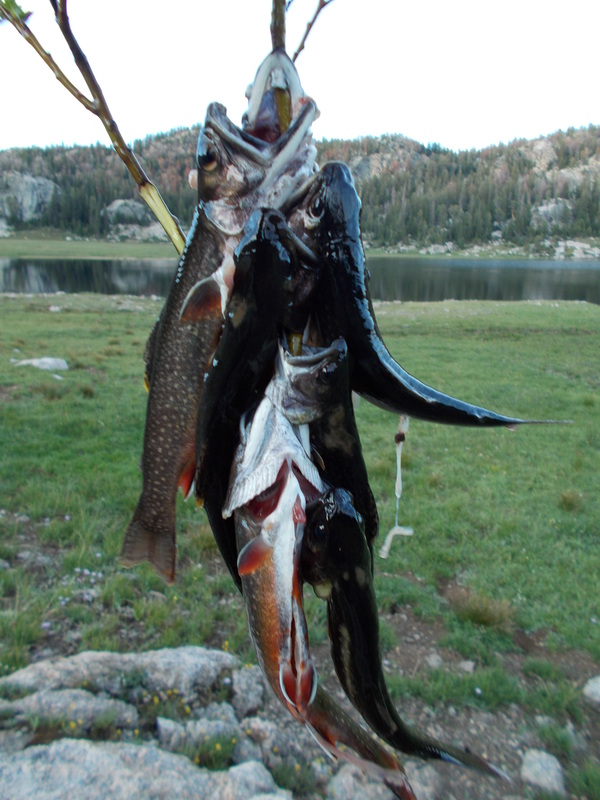 We are mostly catch-and-release hikers, but keep some brookies for supper. Tom (The Beast Walker) Bohr has solo hiked the length of the Appalachian Trail in a single pass, trekked across Spain and the guy is a pro. Ain’t no mountain he can’t climb.